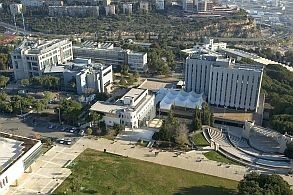 Aerospace engineers at the Technion-Israel Institute of Technology have developed and patented a process that can be used onboard aircraft while in flight to produce hydrogen from water and aluminum particles safely and cheaply. The hydrogen can then be converted into electrical energy for inflight use. The breakthrough could pave the way for non-polluting, more-electric aircraft that replace current hydraulic and pneumatic systems typically powered by the main engine. The groundbreaking work was reported in a recent paper published in the International Journal of Hydrogen Energy. While the use of hydrogen fuels has been a potential greener energy solution for some time, storing hydrogen has always been a problem. The engineers were able to work around the hydrogen storage problem by using non-polluting Proton Exchange Membrane (PEM) fuel cells and a process of aluminum activation patented by the paper’s co-authors, Prof. Alon Gany and Dr. Valery Rosenband. Dr. Elitzur’s research was focused on the reaction between the activated aluminum powder and water (from different types) to produce hydrogen. The foundation for the technology is in the chemical reaction between aluminum powder and water to produce hydrogen. Either fresh water or waste water, already onboard the aircraft, can be used for activation, which means the aircraft does not need to carry any additional water. The spontaneous and sustained reaction between powdered aluminum and water is enabled by a special thermo-chemical process of aluminum activation the researchers developed. The protective properties of the oxide or hydroxide film covering the aluminum particle surface are modified by a small fraction of lithium-based activator diffused into aluminum bulk, allowing water at room temperature to react spontaneously with the aluminum. The process does generate heat, which the researchers say can be used for a number of tasks, including heating water and food in the galley, de-icing operations, or heating aircraft fuel prior to starting the engines. Aircraft manufacturers, including Boeing and Airbus, have already investigated using onboard fuel cells. Boeing has experimented with them in smaller aircraft, in anticipation of using them on its 787-8, the current state-of-the-art electric airplane. According to the Technion researchers, fuel cells can even play an energy saving role in airline and airport ground support operations when they are on used for systems such as de-icing and runway light towers. “Efficient hydrogen production and storage represents the future for efficient and safe aircraft inflight energy needs.” summarized Prof. Gany.